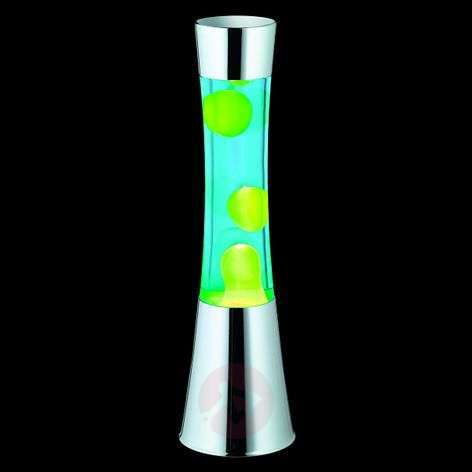 The Jarva lava lamp spreads a cosy flair everywhere it is used. The light's quite angular shape differs from the rocket shape of classic lava lamps which therefore emphasises its modern design. Due to the fact that the light is tested in accordance with child light ordinance DIN EN 60598-2-10, it can be used in children's rooms as well without any problems. Every child will be fascinated by the small and large lava bubbles that softly float up and down, randomly separate and re-combine in the light. But adults, too, can enjoy the soothing effect of the light and the gentle movements of the green liquid. Lampenwelt is the parent company of Light.ie. We have online shops in 14 different countries and we are based in Germany.